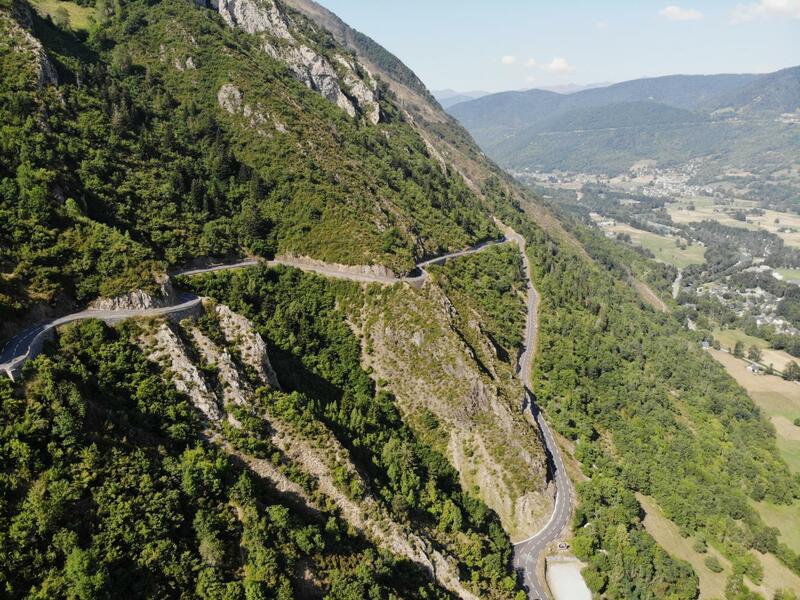 Ready for the 10 top cycling climbs in France? The hills of this Gallic country have been made famous by the most legendary race in the sport: The Tour de France. The TdF began in 1903, stopping only for the two World Wars. The 21 stage race is mostly held in mainland France and changes every year. Several climbs have been featured in the race multiple times. Worldwide attention has been turned to climbing routes such as: Mont Ventoux - Bedoin, Col du Tourmalet East, Cols du Télégraphe & Galibier and more. The famous routes from the TdF aren’t the only cycling routes. Some of the best cycling routes in France haven’t been featured in the race, including the hardest climb in the country. The Col de Portet will be featured for the first time in July for the Tour de France 2018. If you want to try out the 50 best cycling climbs in France, don’t just try out the ones you’ve seen in the TdF. It can be fun to try out climbs you’ve seen on television with a yellow jersey leading the pack - such as the Col du Granon where we saw Greg LeMond take the yellow jersey and ultimately go on to win the 1986 Tour de France. It can also be fun to explore climbs that you don’t recognize from the news. For example, the Cycling Cime de la Bonette - Jausiers is a very scenic climb. Although it inaccurately claims to be the highest paved road in Europe, that honor belongs to the Pico Veleta in Spain, it is still an interesting and challenging route. If you want a list of the 10, 25 or 50 best cycling climbs in France, the PJAMM website is a great place to start. Look at our list and begin planning your own trip to tackle the best cycling climbs in France! With our helpful climb summaries and stats, you can prepare to meet the challenge of world-famous and little-known climbs alike. The hardest, most difficult and challenging cycling climbs in France are, in order of difficulty, 1. Col de Portet, 2. Mont Ventoux - Bedoin, 3. Col de la Madeleine (South), 4. Col de la Croix de Fer North, 5. Col du Granon, 6. Col du Tourmalet - Luz-Saint-Sauveur, 7. Cols du Télégraphe & Galibier, 8. Mont Ventoux - Malaucène, 9. Cime de la Bonette - Jausiers, and 10. Col du Glandon- East.